You can find us in village Veľká Lomnica, situated on the main road between Poprad and Kežmarok. 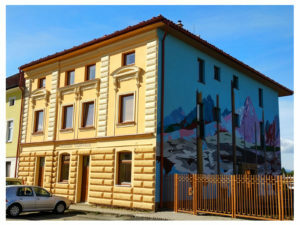 An excellent location for fast and easy accessibility, whether by car, bus, or train, to the High Tatras and to nearby towns. Accommodation in Double rooms with possibility to take an extra bed, Family rooms or Apartments. Small business room suitable for 15 person.